The Perks Continue! 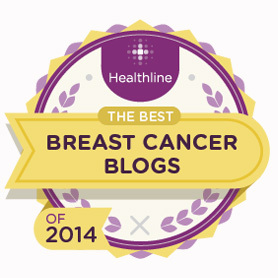 | The Perks of Having Cancer! 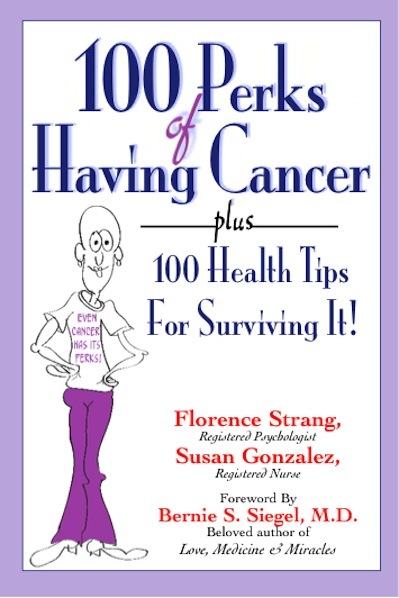 For anyone who has followed my blog for a while, or read my book, 100 Perks of Having Cancer Plus 100 Health Tips for Surviving It you may recall that one of the PERKS of having cancer, was getting free stuff. For example, my t-shirt drawer is practically over-flowing with free t-shirts from various cancer events. I am happy to report, that even though my challenge to find 100 perks has long been accomplished, the perks continue. October (Pinktober) is breast cancer awareness month, and although the color pink makes some people nauseous, I still love it……especially when it comes attached to FREE STUFF! 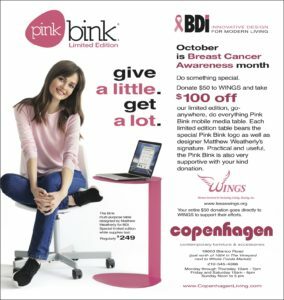 I recently received this Pink Bink Mobile Media Table in the mail, just because! A worthy cause and a fabulous piece of furniture! Some of you may be thinking, “I can’t believe Florence Strang is taking kickbacks from her blog!” Getting free stuff in return for a bit of publicity can be an unethical practice. But folks, I did my homework on this City of Hope so please, hear me out. Have you noticed how pretty much everything gets “pinked out” during the month of October? 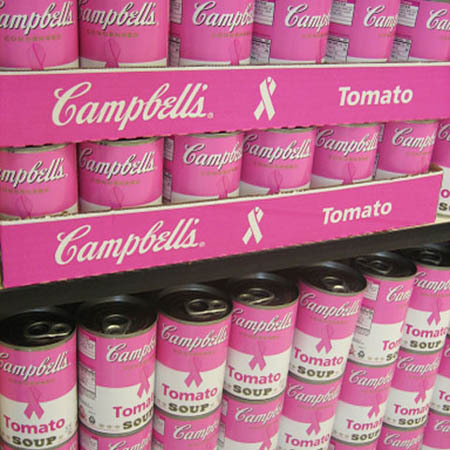 I mean everything, form a pack of tic tacs, to tins of soup to toilet paper seems to be sporting the pink ribbon. 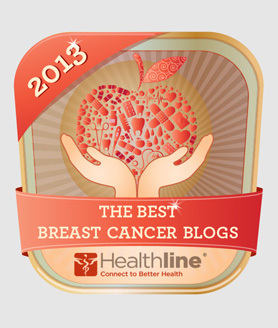 We consumers are led to believe that by buying these products we are doing something good for breast cancer research. Not so. Much of the time the ribbon is there just to raise awareness of breast cancer, as if you did not already know that it exists. In other words, it is a scam. 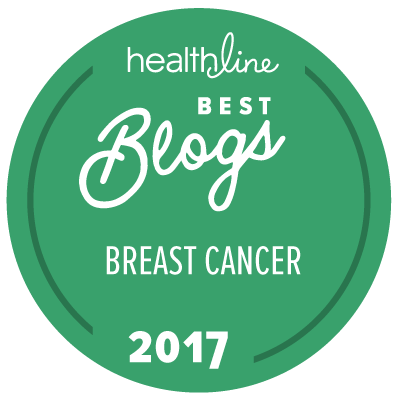 The thing that many people do not understand about breast cancer is that nobody dies from it……..unless it is metastatic, or stage four. 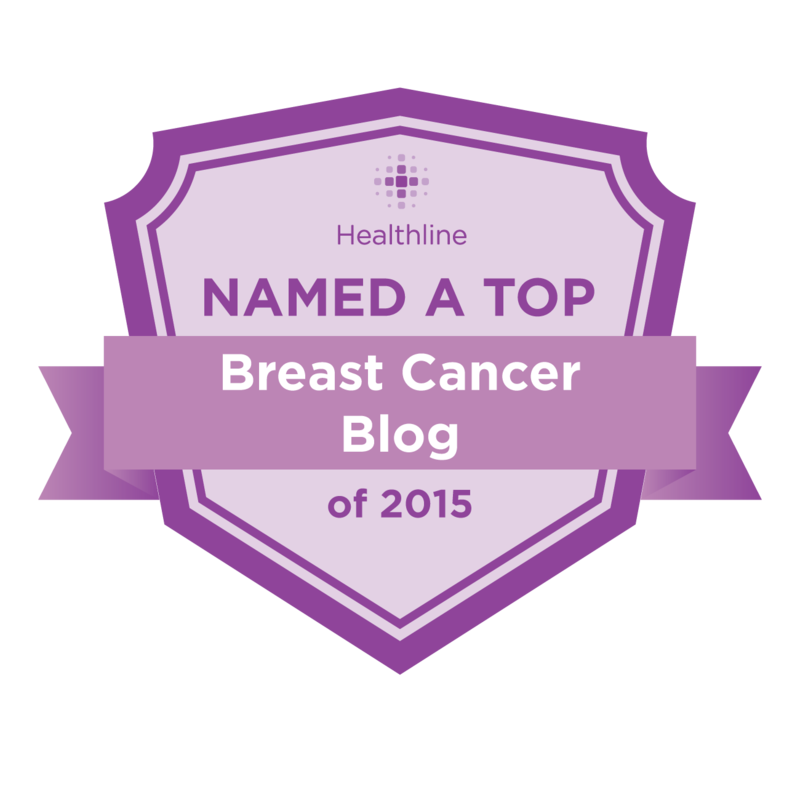 A woman could develop a very early stage cancer, have it treated, and months later be diagnosed with stage four. I know of a woman, for example, who had stage zero cancer, meaning it barely registered on the ole cancer-meter, but it came back months later as stage 4. Cancer cells are sneaky little things, you see. You might get all cocky thinking, “Oh I have nothing to worry about. I have been cancer free for ten years. It can’t get me now.” Only to have it come back in the lungs, bones or brain with the intent to kill. However, ironically, even though stage 4 breast cancer is the only one that kills, it receives the least amount of research funding. So before you support the next product or service that is blinged out in pink, find out for yourself where your dollars are going. 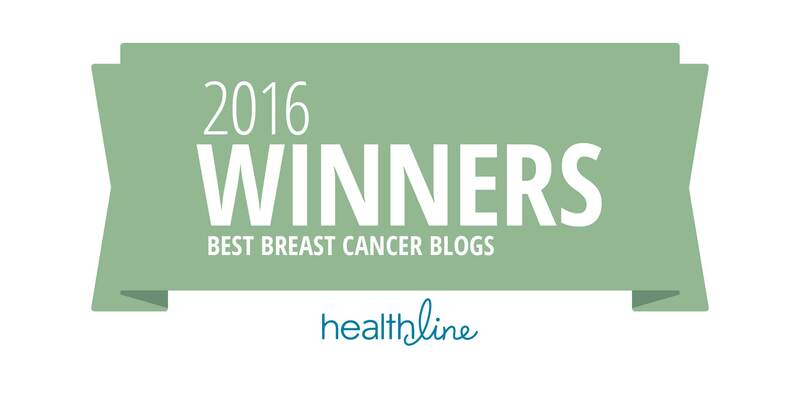 The life you are saving by supporting metastatic breast cancer research could be your own or that of someone you love.